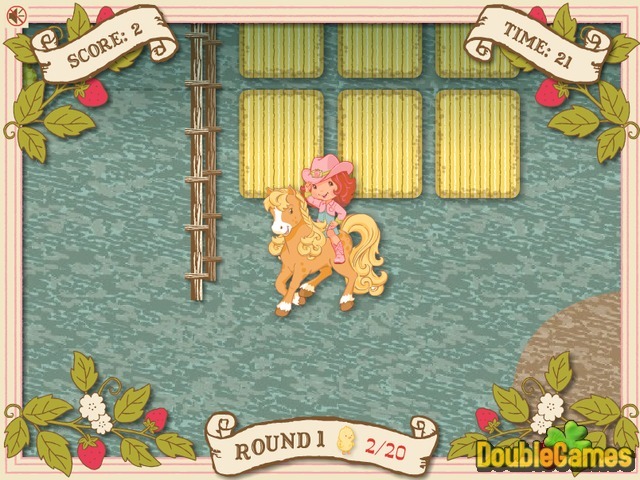 Meet a cute little girl named Strawberry in the new free online game Big Country Fun! In this adventure game you will have to help Strawberry and her little horse collect the chirping chicks. The more you collect, the better. Try to complete the task before the time runs out. And if you pick up diamonds and strawberries you will get extra seconds. This cute and pretty game will bring you joy and happiness! Start playing it right now and absolutely for free. Have a lot of fun! 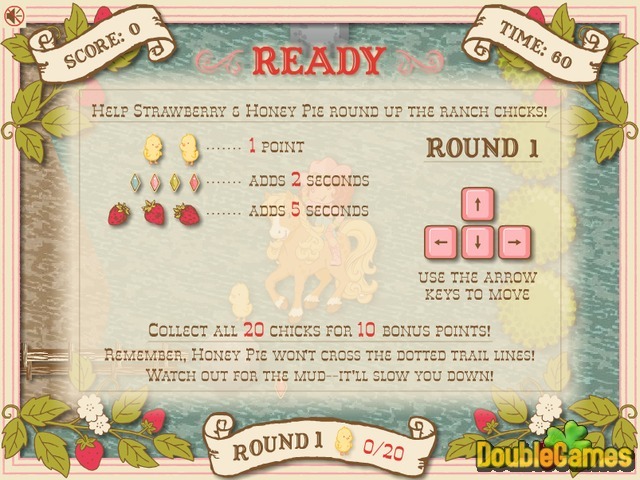 Title - Big Country Fun Online Game Description - Pay attention to Big Country Fun, a Arcade & Action game devised by Strawberry Shortcake. 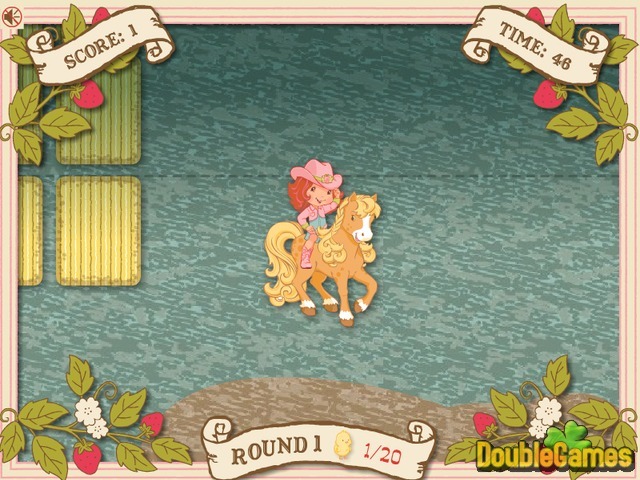 Meet a cute little girl named Strawberry in the free online game Big Country Fun!